A fascinating story about two mice who build a submarine to take them to the bottom of the ocean in the search for long lost treasure. Great for reading aloud and fabulously illustrated. Recommended for young animal adventure lovers and budding inventors. A little snail is trying to convince us that he could be our favorite animal. Such a delightful interactive book; you'll not be able to read it without smiling a the adorable character. I doubt that you will be able to read it without a French accent. You may want to nibble a few carrots as well. Mwaw! Ages 4-6. A beautifully written and gorgeously illustrated book about longing to belong. Brian feels invisible to his classmates until a new student arrives. Brian welcomes Justin with a note and Justin asks him to work on a group project. Don't miss the changes from black and white to color. A wonderful lesson on the act of kindness. Grades K-2. A hilarious tale about two sheep: one an avid reader, the other an enthusiastic knitter. They embark on an adventure and strike up an unlikely friendship with a wolf. Cleverly written with humorous dialog. Parents and kids will love this one. 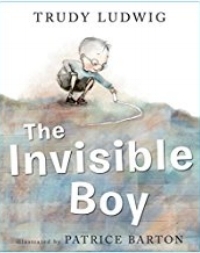 Beautifully illustrated, this book tells a simple story. There is also deeper meaning here of endeavors, success, friendship, and belonging. All expressed through a bear, music, and a piano. Perfect for multiple readings. Highly recommended. Mr. Fish is back again and planning his first vacation! A novice traveler, he encounters a few bumps along the way, but eventually makes it to his destination and learns some lessons at the same time. Like the original, this story of the endearing Mr. Fish does not disappoint. Children will love the story; adults will love the humorous illustrations. The Night Gardener comes only at night to turn trees into beautiful animal topiaries. No one sees him, no one knows how he does it, but he leaves behind a trail of delight. One night he visits Grimloch Lane, a particularly gray and sullen area of town. Each night thereafter beautiful sculptural animals appear and the residents of Grimloch Lane begin to experience happiness. But a little boy named William has caught sight of the Night Gardner...and follows him! What will happen? I’m not sure which will delight you more: the engaging story or the beautiful illustrations. This book is a treasure. Lady Pancake and Sir French Toast are very good friends and refrigerator mates until they learn one day that there is only one drop of maple syrup left. Thus begins quite an adventure to be the one that gets the last drop! As they race past various foods many hilarious mishaps occur. The rhyming text and colorful pictures of the foods they pass are delightful, and of course they realize that sharing and caring are much better for their friendship. This book teaches so much beyond friendship and victory. It is a sure bet for any child and his/her parents! Alan comes from a long line of scary alligators. His pride and joy are his pointy, sharp teeth, which work well to strike fear into all the jungle creatures. But Alan has a secret: his teeth are false! One night as Alan is dozing his secret is discovered. What will happen now? If you read this with all the sound effects you’ll have your children laughing out loud in no time! And the illustrations are just as funny! Actual squirrels from the author’s backyard are used to tell the tale of Mr. Peanut, a very unusual squirrel. Mr. Peanut has a busy life: keeping house, grilling out, reading, and playing the piano, but it is not until his cousin comes to visit that he realizes how nice it is to have someone as a companion. Children and adults alike will marvel at the tiny settings and the personalities of Mr. Peanut and Cousin Squirrel. A truly charming book. This book is a complete delight! From its highly detailed photographs to the small chapter-like stories, this is a book that can be read to children a little at a time – perhaps a small story each night at bedtime. Sam and Julia are mice that live in the Mouse Mansion, which in reality is a hundred-room dollhouse, and their scrapes and adventures range all the way from discovering secret hiding places to coming down with Chicken Pox! Author and photographer Karina Schaapman has created a wonderful world inside the walls of the Mouse Mansion – a world that will charm both children and adults alike. Otis is an unforgettable classic about a special tractor who loves his farm and his farmer. He is always willing to help his friends. He has such personality that you forget he is a tractor and not a person. This series teaches wonderful lessons celebrating the power of friendship, perseverance, and loyalty. Each story shows that Otis is a true friend that you can always count on. Apples are generally not supposed to make friends with worms, so this pairing is quite unusual! However, Mac is an unusual apple and Will is an unusual worm…a bookworm to be exact. Will introduces Mac to the joys of kite-flying and reading, Mac introduces Will to the fun of swimming (or bobbing, if you are an apple). All is well until Mac brings Will to meet the other apples in the orchard. Not a great idea, they later realize! It appears that in order to escape the taunting, Mac must choose between his apple friends and Will. This tale of the true meaning of friendship will resonate with young and old. What better time to talk to your child about the value of a good friend, than when you are reading this simply written and charmingly illustrated story. 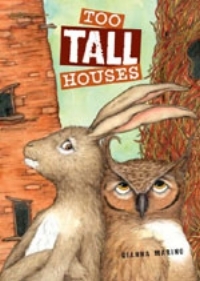 Rabbit and Owl are neighbors who happen to live side by side in two small abodes, each unique to the owner. Of course Rabbit has a garden. All is tranquil until the garden begins to grow tall enough to block Owl’s view of the countryside. In a classic tale of one-upmanship, enhanced with rollicking illustrations of the ensuing bigger and taller structures, this book will keep young children enthralled right up until the final scenes. How tall can a house get? Just wait and see! Captivating illustrations perfectly complement the simple but thoughtful text in this beautiful introduction to a child’s discovery of the natural world. A book to be cherished, read, and re-read, and perhaps handed down from your children to a future generation. “A doozy of a drowsy made Mrs. Clam yawn. Then a big current whooshed and her pearl was GONE!” Mr. Fish, who has lost his pouty face, embarks on a deep-sea adventure to find and return Mrs. Clam’s beloved pearl. The only problem is. . .it appears that the pearl may be further away than he originally thought. To add to that, he is afraid of the dark! He begins to feel his pouty lip coming back. . . until. . . ! Same wonderful format and hilarious illustrations make this a “read again” favorite. “Deep in the water where fish hang out lives a glum gloomy swimmer with an ever-present pout.” So begins the rollicking tale of a certain Mr. Fish who thinks he is destined to spread gloom in the ocean deep because of his naturally pouty face. Children will love this story for its colorful characters and its rhyming format. Adults will love it because of the nuances in the illustrations and the endearing message. A winner in all respects! This snail may be small but she certainly has big dreams! Hitching a ride on the tail of a humpback whale, her adventures take her all around the world to see fantastic sights…until her ride gets beached! She must think quickly to save her friend! But how will someone so small be able to help someone so large? Children will delight in finding the tiny snail on each page as the adventure progresses, and the conclusion will bring a smile to everyone’s face. This beautiful picture book is simple and heartfelt, but also bitter-sweet. A dog from the city befriends a frog in the country where they meet and play against the backdrop of the changing seasons. Eight ballerinas in four lines of two dance joyfully all day long. But when their teacher, Miss Lina, admits a ninth student, confusion leads to pandemonium! In lively verse with wonderful illustrations, this book presents to all ages the themes of friendship and adjustment. It will especially appeal to budding ballerinas.